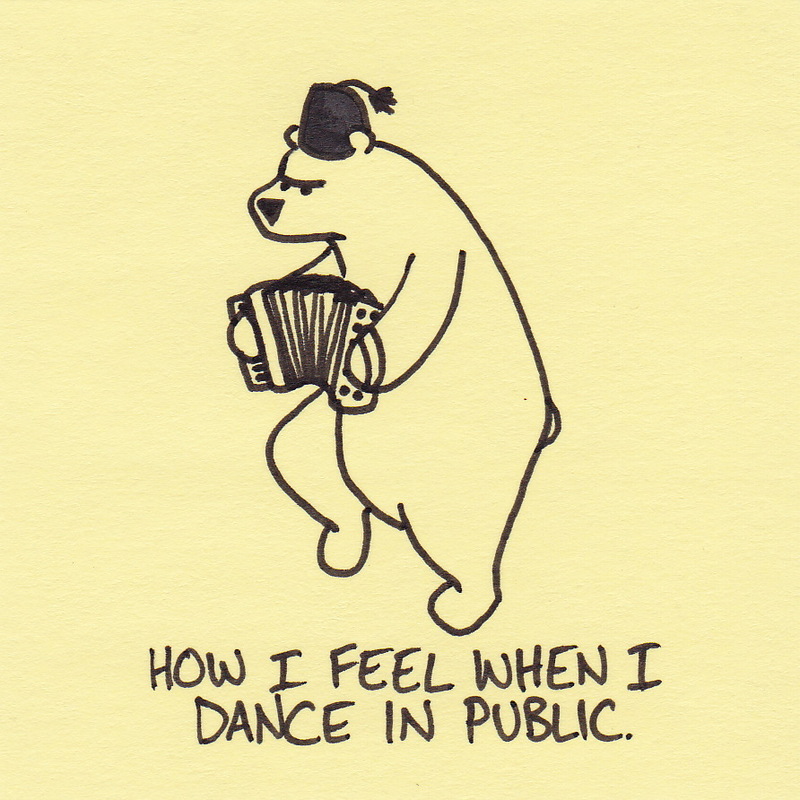 How I feel when I dance in public. Solution: I married a woman who feels the same. Everybody wins! 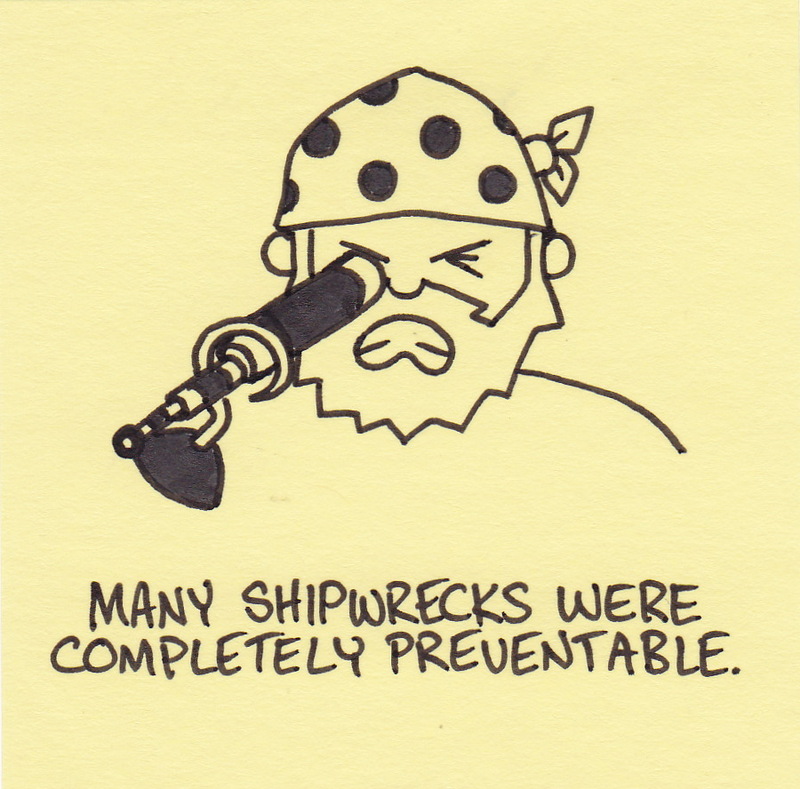 Many shipwrecks were completely preventable. As a teenager, I had a major accident within two weeks of buying my first car. I ended up totaling the car and a telephone pole. I hit the pole at about 40 mph (64 km/h). You are currently browsing the Inkjot blog archives for May, 2012.